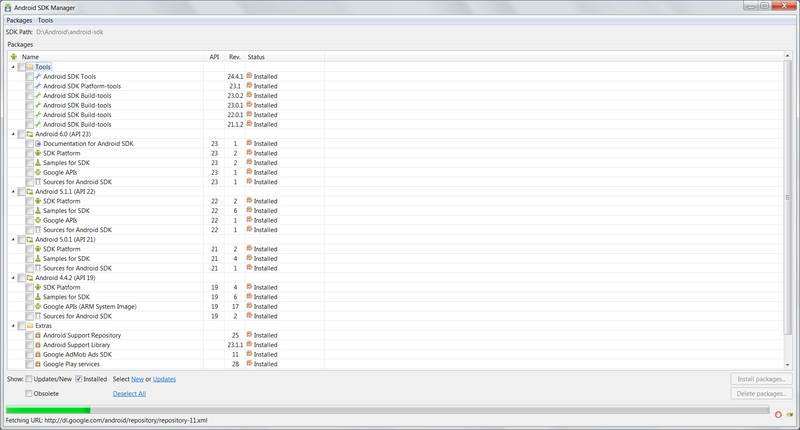 There are a lot of system images piling up on my disk in the android sdk folder. i hardly use the emulator. May be once in 6 months. Most of my development is directly on device. What i wanted to check was, will removing the system images (at least for the old APIS i.e. < 22) impact the development? Also, the google apis folder seen below. Should i keep it for all versions or just the one in the latest suffice? System images are pre-installed Android operating systems, and are only used by emulators. If you use your real Android device for debugging, you no longer need them, so you can remove them all. The cleanest way to remove them is using SDK Manager. Open up SDK Manager and uncheck those system images and then apply. Also feel free to remove other components (e.g. old SDK levels) that are of no use. You do not need to keep the system images unless you want to use the emulator on your desktop. Along with it you can remove other unwanted stuff to clear disk space. Adding as an answer to my own question as I've had to narrate this to people in my team more than a few times. Hence this answer as a reference to share with other curious ones. In the last few weeks there were several colleagues who asked me how to safely get rid of the unwanted stuff to release disk space (most of them were beginners). I redirected them to this question but they came back to me for steps. So for android beginners here is a step by step guide to safely remove unwanted stuff. Do not blindly delete everything directly from disk that you "think" is not required occupying. I did that once and had to re-download. Make sure you have a list of all active projects with the kind of emulators (if any) and API Levels and Build tools required for those to continue working/compiling properly. 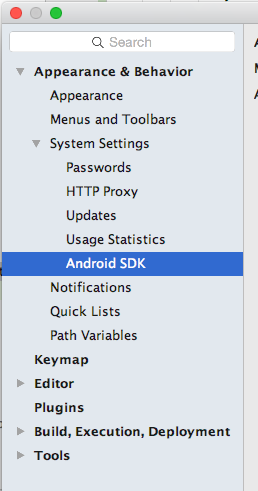 In Android Studio, go to settings and search "Android SDK". 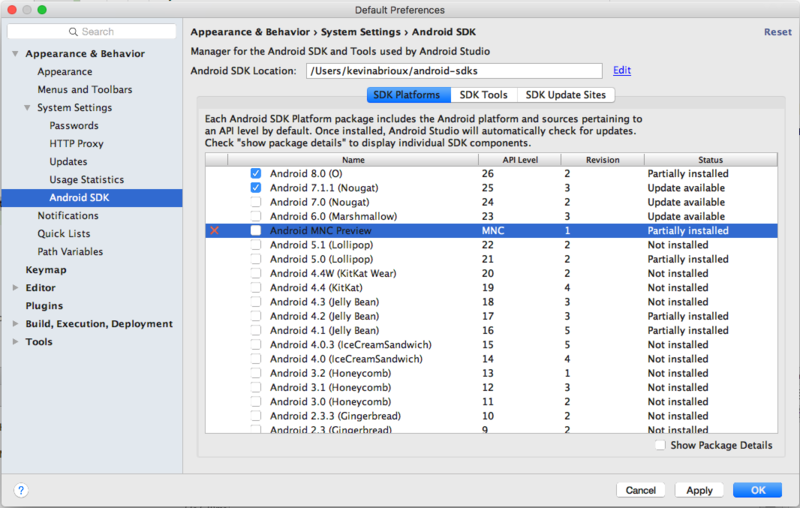 Click Android SDK -> "Open Standalone SDK Manager"
In Eclipse, open the "Window" menu and select "Android SDK Manager"
Navigate to the location of the android-sdk directory on your computer and run "SDK Manager.exe"
Uncheck all items ending with "System Image". Each API Level will have more than a few. In case you need some and have figured the list already leave them checked to avoid losing them and having to re-download. Optional (may help save a marginally more amount of disk space): To free up some more space, you can also entirely uncheck unrequired API levels. Be careful again to avoid re-downloading something you are actually using in other projects. In the end make sure you have at least the following (check image below) for the remaining API levels to be able to seamlessly work with your physical device. 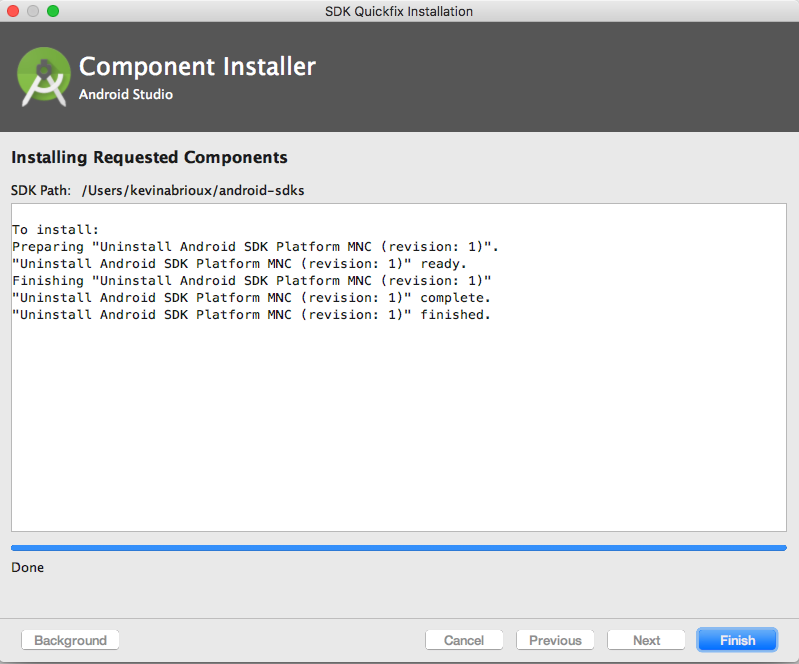 In the end the clean android sdk installed components should look something like this in the SDK manager. I recommend two steps to address the bloated SDK problem. The current version, e.g. 6.0 Marshmallow as of this writing. This version is to test and develop to the latest and greatest that the current Nexus handsets are running plus a couple of other brands. An older version, e.g. 4.04 Ice Cream Sandwich. This is to provide compatibility for the vast majority of handsets. You lose some functionality of the newer versions, but you gain a lowest common denominator of compatibility. If that's too much space, remove the emulators completely. Pick up a couple of older handsets off Ebay that will provide you with all the test platforms you need. They don't even have to be completely functional -- many apps don't need a SIM and cellular connectivity, for example. My Android environment was taking up 32 gigs on my 128-gig Macbook Air. Couldn't keep doing this. Some day they'll make terabyte Macbook Airs but until then, got to slim down. 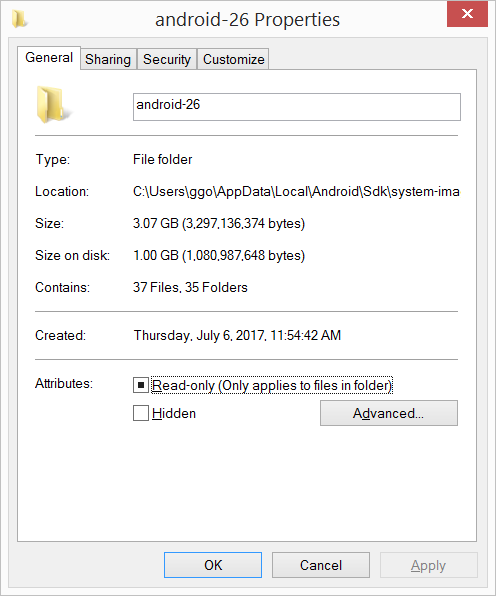 I had 20.8 GB in the C:\Users\ggo\AppData\Local\Android\Sdk\system-images folder (6 android images: - android-10 - android-15 - android-21 - android-23 - android-25 - android-26 ). I have compressed the C:\Users\ggo\AppData\Local\Android\Sdk\system-images folder. Now it takes only 4.65 GB. This is the minimal stuff I keep for day to day Android development (including production code). Latest versions from API 25 to API 27 (Nougat to Android P) included only, and you can work great with it. To minimize even more, just keep any one of the below versions as same and keep a lower versions i.e. API 16 with same files downloaded as below. 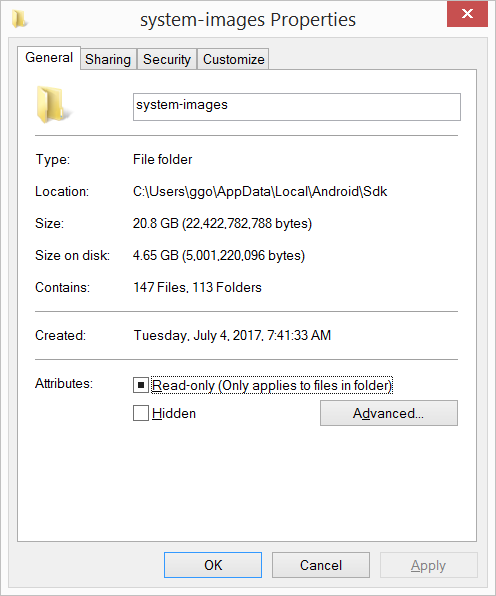 In this folder there are all emulator images. If you don't use emulator then you can delete this folder. In this avd folder, you can able to see all the avd's which you created earlier. So you need to delete all avd's that will remove all the unused spaces grab by your emulator's. Than create the fresh emulator for you works. Not the answer you're looking for? Browse other questions tagged android android-studio sdk android-sdk-tools diskspace or ask your own question. 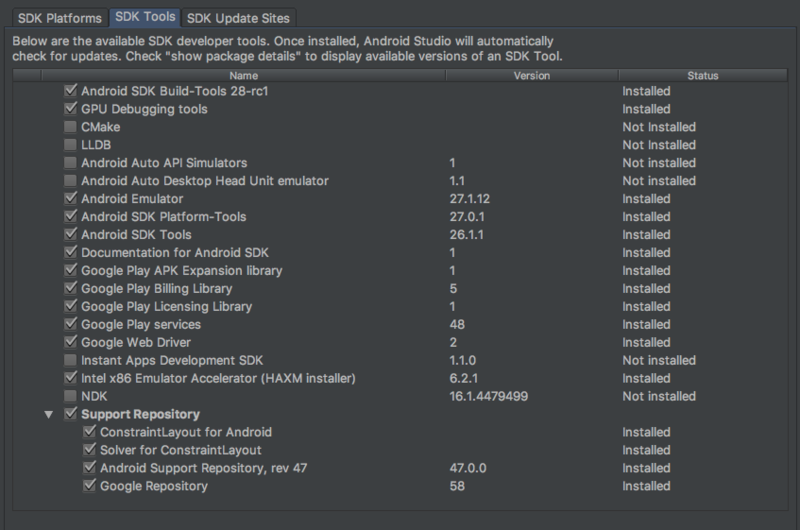 Is Android SDK Dcoumentation used by Android Studio? Does Unity need system images in the SDK folder? 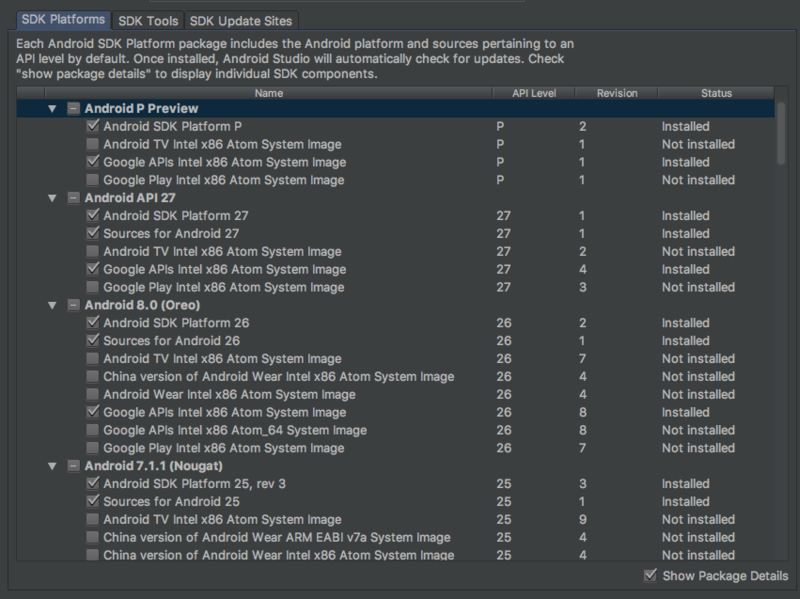 Android SDK - Installing system images?